http://mediekritik.lege.net/ :: View topic - Verklighetsbubblor skapade med "läkemedel"
Posted: Sat, 2006 Jun 10 21:37:43 Post subject: Verklighetsbubblor skapade med "läkemedel"
Lyssna till en diskussion om en massaker i en skola Columbine i USA. Det man får höra är mycket märkligt. Man kan börja undra hur det står till i USA. Är det här landets befolkning neddrogat? Det påstås här att en av tre tar "medicinen" Prozac i USA efter 9/11. LYSSNA! TÄNK! TA REDA PÅ MER SJÄLV! The Columbine High School massacre occurred on Tuesday, April 20, 1999, at Columbine High School in unincorporated Jefferson County, Colorado, near Denver and Littleton. Two teenage students, Eric Harris and Dylan Klebold, carried out a shooting rampage, killing 12 fellow students and a teacher, as well as wounding 24 others, before committing suicide. It is considered to be the deadliest school shooting, and the second deadliest attack on a school in United States history after the Bath School disaster. In July 1999, the FBI organized a major summit on school shooters in Leesburg, Virginia. They brought in many of the world's leading psychologists and psychiatrists, and representatives from each of the recent school shootings, including a large Columbine contingent. Attorney General Janet Reno was also in attendance. The FBI eventually published a major report on school shooters, though it steered clear of causes on any individual case. However, on the fifth anniversary of Columbine, the FBI's lead Columbine investigator and other top psychiatrists went public with their conclusions in a Slate story entitled The Depressive and the Psychopath. They diagnosed Harris as a clinical psychopath and Klebold as a depressive, and saw that the plan was masterminded by Harris. He had a messianic-level superiority complex, and hoped to illustrate his massive superiority to the world. Columbine has never made any sense. On a close examination of eyewitnesses, and events, one can easily see that there were at least seven people involved, and maybe a third shooter. Klebold and Harris hand picked their victims. There were three shooters, and probably four more accomplices, that helped plant bombs, and others students that knew what was happening. At a minimum, seven of the Trench Coat Mafia, were involved. The suspected accomplices failed lie detectors, destroyed computer hard drives, and had interlocking alibis. 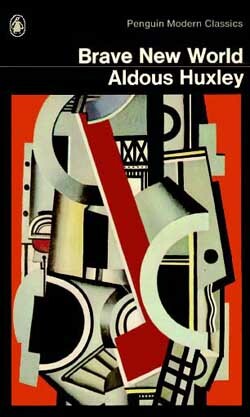 Author and social analyst Aldous Huxley originally published his classic futurist novel "Brave New World" in 1932. Like the works of family friend H.G. Wells, this was not merely speculation but an insider's exposition of the plans of the "world controllers" as he foresaw them at the time. This is another of the classics that is well worth re-reading; it is amazing how many of the developments he predicted have since come to pass. The full text of the book is available online at several different sites, along with numerous commentaries. "Unless we choose to decentralize and to use applied science...as the means to producing a race of free individuals, we have only two alternatives to choose from: either a number of national, militarized totalitarianisms, having as their root the terror of the atomic bomb...or else one supra-national totalitarianism, called into existence by the social chaos...and developing, under the need for efficiency and stability, into the welfare-tyranny of Utopia. All things considered, it looks as though Utopia were far closer to us than anyone, only fifteen years ago could have imagined. Today [in 1946] it seems quite possible that the horror may be upon us in a single century." The high priest for Britain's Opium War was Aldous Huxley, the grandson of Thomas H. Huxley, a founder of the Rhodes Roundtable group and a lifelong collaborator of Arnold Toynbee. Toynbee himself sat on the RIIA council for nearly fifty years, headed the Research Division of British intelligence throughout World War II, and served as wartime briefing officer of Prime Minister Winston Churchill. What Ferguson left out is that Wells called his conspiracy a "one-world brain" which would function as "a police of the mind." Such books as "The Open Conspiracy" were for the priesthood itself. But Wells's popular writings ("Time Machine", "The Island of Dr. Moreau", and so forth), and those of his proteges Aldous Huxley ("Brave New World") and George Orwell ("1984" and "Animal Farm"), were written as "mass appeal" organizing documents on behalf of one-world order. Only in the United States are these "science fiction classics" taught in grade school as attacks against fascism. In 1937, Huxley was sent to the United States, where he remained throughout the period of World War II. Through a Los Angeles contact, Jacob Zeitlin, Huxley and pederast Christopher Isherwood were employed as script writers for MGM, Warner Brothers, and Walt Disney Studios. Hollywood was already dominated by organized crime elements bankrolled and controlled through London. Joseph Kennedy was the frontman for a British consortium that created RKO Studios, and "Bugsy" Siegel, the West Coast boss of the [Meyer] Lansky syndicate, was heavily involved in Warner Brothers and MGM. In effect, Huxley and Isherwood (joined soon afterwards by Thoman Mann and his daughter Elisabeth Mann Borghese) laid the foundations during the late 1930s and the 1940s for the later LSD culture, by recruiting a core of "initiates" into the Isis cults that Huxley's mentors, Bulwer-Lytton, Helena Blavatsky, and Aleister Crowley, had constituted while stationed in India. The CIA operation was code named MK-Ultra, its result was not unintentional, and it began in 1952, the year Aldous Huxley returned to the United States. Lysergic acid diethylamide, or LSD, was developed in 1943 by Albert Hoffman, a chemist at Sandoz A.B. -- a Swiss pharmaceutical house owned by S.G. Warburg. While precise documentation is unavailable as to the auspices under which the LSD research was commissioned, it can be safely assumed that British intelligence and its subsidiary U.S. Office of Strategic Services were directly involved. Allen Dulles, the director of the CIA when that agency began MK-Ultra, was the OSS station chief in Berne, Switzerland throughout the early Sandoz research. One of his OSS assistants was James Warburg, of the same Warburg family, who was instrumental in the 1963 founding of the Institute for Policy Studies, and worked with both Huxley and Robert Hutchins. The ostensible topic of the Harvard seminar was "Religion and its Significance in the Modern Age." The seminar was actually a planning session for the "acid rock" counterculture. Huxley established contact during this Harvard period with the president of Sandoz, which at the time was working on a CIA contract to produce large quantities of LSD and psilocybin (another synthetic hallucinogenic drug) for MK-Ultra, the CIA's official chemical warfare experiment. According to recently released CIA documents, Allen Dulles purchased over 100 million doses of LSD -- almost all of which flooded the streets of the United States during the late 1960s. During the same period, Leary began privately purchasing large quantities of LSD from Sandoz as well. Like the British inundation of China with drugs in the nineteenth century, the British counterculture has succeeded in subverting the fabric of the nation, even up to the top-most levels of government. When nerves are activated by nerve impulse they normally release the neurotransmitter serotonin (neurotransmitters a re chemical substances that transmit nerve impulses (messages) from one cell to another in effect allowing them to transmit information throughout the body). Once released, the neurotransmitters cross a gap (known as a synapse) between the adjacent cells and bind with serotonin receptors. It is believed that LSD inhibits the presynaptic receptors of the serotinin producing neurons causing a decrease in the ability of serotonin to inhibit the post synaptic neuron. Fluoxetine hydrochloride is an antidepressant drug used medically in the treatment of depression, obsessive-compulsive disorder, bulimia nervosa, premenstrual dysphoric disorder and panic disorder. Fluoxetine is also used (off-label) to treat many other conditions, such as ADHD. It is sold under the brand names Prozac, Symbyax (compounded with olanzapine), Sarafem, FLUX (Pakistan), Fontex (Sweden), Foxetin (Argentina), Ladose (Greece), Fluctin (Austria, Germany), Prodep (India), Fludac* (India)" Oxetin" (Bosnalijek,Bosnia and Herzegovina) and Lovan (Australia). Fluoxetine was derived from diphenhydramine, an antihistamine found to inhibit reuptake of the neurotransmitter serotonin. Compared to other popular selective serotonin reuptake inhibitors (SSRIs), fluoxetine has a strong energizing effect. This makes fluoxetine highly effective in treatment of clinical depression cases where symptoms like depressed mood and lack of energy prevail. Although stimulating, it is also approved for a variety of anxiety disorders, including panic disorder and obsessive compulsive disorder. Eli Lilly's Prozac was approved by the FDA on December 29, 1987 and introduced in the US at the beginning of 1988. Eli Lilly lost a patent dispute with Barr Laboratories and now fluoxetine hydrochloride is manufactured by many companies. Prozac's popularity and selling success has been aided greatly by Lilly's extensive marketing campaign for the drug, considered one of the most successful in the history of American pharmaceuticals. GOOGLA VIDARE SJÄLV! HÄR LITE TIPS! TeenScreen, a program to screen America's school children for "mental illness" to be treated with often addictive drugs prescribed by a pharma-driven treatment algorithm, is making waves. The parents of a girl who was given a questionaire and subsequently diagnosed with obsessive compulsive and social anxiety disorder are up in arms about the testing and say they will take all legal remedies available to them. Evelyn Pringle discusses the case and the screening program's backgroundhere. The "Teen Screen Program" is a "Mental Illness" Screening Program put out by Columbia University, the same group that has been designated by the Food & Drug Administration (FDA) to review the studies on SSRI-antidepressants inducing self-harm & suicide in children... Conflict of Interests! Protect Your Children Against U.S. Government/Pharmaceutical "Mental Health" Screening Program. KNOW YOUR RIGHTS: SAY NO TO FORCED MEDICATION, SAY NO TO TEENSCREEN®. Few people know that Dr. David Shaffer is not only the developer of the abovementioned TeenScreen Program, but also is a spokesman for pharmaceutical firm Eli Lilly & Company, the manufacturer of Prozac (Sarafem). Furthermore, Dr. Shaffer is a paid consultant for pharmaceutical companies Hoffman la Roche, Wyeth and GlaxoSmithKline. I läkemedelsföretagens forskningsportföljer finns ett antal antidepressiva substanser som verkar utanför de klassiska transmissionssystemen för serotonin och noradrenalin. Förhoppningen är läkemedel som är bättre än dagens SSRI-preparat. En substans som påverkar dygnsrytmen kan bli först ut. Att förstärka signaleringen av transmittorsubstanserna serotonin och noradrenalin har länge varit standard vid läkemedels- behandling av depression. Sedan de första antidepressiva medlen introducerades på 1950- och 60-talen verkar alla läkemedel mot sjukdomen på ett eller annat vis genom detta angreppssätt. Det är ännu inte helt klarlagt vad som orsakar depression.Sedan länge betraktas omsättningen av framför allt signalämnena serotonin och noradrenalin i hjärnan som viktig för reglering av det psykiska stämningsläget.Idag vet vi att också flera andra ämnen är inblandade,och att det dessutom under depressionsperioden sker cellförändringar i vissa delar av hjärnvävnaden.Vi talar därför idag om att de antidepressiva läkemedlen utövar sin verkan genom att både återställa omsättningen och balansen av signalämnena och befrämja läkning av en cellskada i hjärnan.Om depressionen förblir obehandlad finns det därför en risk för att sjukdomen blir långvarig.Det finns idag forskningsresultat som talar för att den ökande användningen av antidepressiva läkemedel i Sverige på senare år bidragit till att antalet självmord i Sverige minskat.Detta betyder att allt fler allvarliga depressioner blivit rätt behandlade. Antidepressiva läkemedel , även kallade tymoleptika, är läkemedel som används för att lindra symptomen av depressioner. Uppmärksamheten riktas mot hjärnans signalsubstanser, budbärare av signaler mellan celler. Den grupp av signalsubstanser som visar sig ha betydelse är de så kallade monoaminerna. Det finns tre viktiga monoaminer: serotonin, noradrenalin och dopamin. De första antidepressiva läkemedlen påverkade alla tre substanserna. Läkemedlen hade bra effekt, men även en rad biverkningar. Det visade sig att många av biverkningarna tycktes ha samband med signalsubstansen dopamin snarare än med serotonin och noradrenalin. Astra kom 1982 ut med det första läkemedlet som verkade specifikt för att förstärka serotoninnivån i hjärnan. Läkemedlet drogs dock tillbaka efter rapporter om fall av allvarlig nervskada i samband med behandlingen. År 1988 släpptes Prozac i USA, vilket beskrevs i böcker och massmedia som det nya "lyckopillret". I Sverige blev det godkänt först 1995 och då under namnet Fontex. I slutet av 1990-talet kom ytterligare fyra nya läkemedel som tillhör den andra generationens antidepressiva läkemedel, de s.k. selektiva serotoninåterupptagshämmare, SSRI. På senare år har man även forskat fram läkemedel som specifikt påverkar signalsubstansen noradrenalin och även läkemedel som påverkar både noradrenalin och serotonin. På Ungdomsmottagningen Mini-Maria i Centrum träffar man på många ungdomar som testat hallucinogener någon gång men få har det som huvuddrog. LSD verkar vara något av en "sommardrog", säger socialsekreterare Per-Ola Tjäder på mottagningen. Helena Gustavsson, föreståndare på Mini-Maria i Nordost menar att det är vanligt att ungdomarna har erfarenhet av LSD och psilocybin men att användningen är begränsad. Det verkar främst vara ungdomar som är lite "oppositionella " och "alternativa" som håller på med hallucinogener. Finns många trådar där ämnet diskuteras. Men ja. SSRI gör att de förväntade effekterna av LSD minskas ganska dramatiskt. Several drugs widely used to treat attention-deficit hyperactivity disorder should carry a prominent "black box" warning because of reports that they may have caused sudden deaths or serious complications, a federal expert advisory panel recommended yesterday. ADHD (Attention-Deficit/Hyperactivity Disorder), som på svenska brukar benämnas hyperaktivitetssyndrom med uppmärksamhetsstörning debuterar i barndomen. Huvudsymptomen vid ADHD är ouppmärksamhet, hyperaktivitet och impulsivitet. Det innebär att en person med ADHD har svårt att själv reglera och kontrollera sin uppmärksamhet, att koncentrera sig på uppgifter under en längre tid, att anpassa sin aktivitetsnivå till en viss situation och att inte direkt reagera på sina impulser. Många barn med ADHD kommer att fortsätta att ha symptom i vuxen ålder, även om deras motoriska överaktivitet har en tendens att minska med åldern. ADHD hos ett barn påverkar inte bara barnet, utan också de människor som finns i närmiljön, som familjemedlemmar, kamrater och lärare. Att ha ADHD medför svårigheter att klara situationer i det dagliga livet. För många barn med ADHD blir deras problem särskilt tydliga i skolan genom att de har svårt att sitta still, att koncentrera sig på arbetsuppgifterna, att acceptera krav, att arbeta i grupp och att utveckla och bevara kamratrelationer. Förutom stora svårigheter med att lyckas med skolarbetet leder detta ofta till negativa reaktioner från omgivningen. I Norden används också begreppet DAMP (Deficits in attention, motor control and perception). Barn och ungdomar med DAMP har förutom problem med uppmärksamhet och aktivitetskontroll (dvs. ADHD) även problem med motorik och perception. FINNS DET NÅGON SOM HAR FÖRSTÅTT VILKA KRAFTER SOM LIGGER BAKOM? PsykofarmakaanvändningenÅr 1986 publicerade Läkartidningen en översikt med en noggrann beskrivning av bensodiazepin-missbruk och beroende. Samma år gjorde Läkemedelsverket en upp-datering av området liksom ett arbete inom Socialstyrelsen påbörjades för att lyfta fram missbruk och beroendeaspekterna när det gäller bensodiazepiner. Detta innebar också att förskrivningen av dessa läkemedel minskade och det är först de senaste åren som en ökad förskrivning åter har börjat ses. En ökad användning av psykofarmaka under de senaste åren gäller dels de s k antidepressiva läkemedlen (s k selektiva serotoninåter-upptagshämmare eller s k lyckopiller), dels bensodiazepiner och bensodiazepin-liknande preparat med liknande addiktiva egenskaper som övriga inom denna grupp. Anmärkningsvärt är att psykofarmakaförskrivningen i stor utsträckning har sin ökning inom yngre grupper, främst unga kvinnor. Ökningen under 1990-talet har skett parallellt med en ökad användning av alkohol och illegala droger i ungdomsgrupperna. DET FINNS EN FILOSOFISK BAKGRUND - NIHILISMEN! MEN INGEN VERKAR ORKA TA ITU MED NIHILSMEN = POSTMODERNISMEN! Nihilism is a philosophical position which argues that the world, and especially human existence, is without objective meaning, purpose, comprehensible truth, or essential value. Nihilists generally believe all of the following: There is no reasonable proof of the existence of a higher ruler or creater, a "true morality" is unknown, and secular ethics are impossible; therefore, life has no truth, and no action is known to be preferable to any other. Nihilism is often more of a charge leveled against a particular idea, movement, or group, than a position to which someone overtly subscribes. Movements such as Dadaism, Deconstructionism, and punk have been described at various times as "nihilist". Usually this simply means or is meant to imply that the beliefs of the accuser are more "substantial" or "truthful", whereas the beliefs of the accused are nihilistic, and thereby comparatively amount to "nothing". Nihilism is also a characteristic that has been ascribed to time periods: for example, Baudrillard has called postmodernity a nihilistic epoch, and some Christian theologians and figures of authority assert that modernity and postmodernity represent the rejection of God, and therefore are nihilistic. Prominent philosophers who have written on the subject of nihilism include Friedrich Nietzsche and Martin Heidegger. Nietzsche described Christianity as a nihilistic religion because it evaded the challenge of finding meaning in earthly life, creating instead a spiritual projection where mortality and suffering were removed instead of transcended. He believed nihilism resulted from the "death of God", and insisted that it was something to be overcome, by returning meaning to a monistic reality (he sought instead a "pragmatic idealism," in contrast to the prominent influence of Schopenhauer's "cosmic idealism"). Heidegger described nihilism as the state where "there is nothing left of Being as such," and argued that nihilism rested on the reduction of Being to mere value. Many other East Asian traditions present something very similar to the apophatic approach: for example, the Tao Te Ching, the source book of the Chinese Taoist tradition, asserts in its first statement: the Tao ("way" or "truth") that can be described is not the constant/true Tao. De flesta har inte rett ut de här olika begreppen - istället så fylls de med fotbollsVMs hjältar... hur ska vi kunna komma överens? Tystnad, stillhet.. kommer människor att söka sig dit? Sätta sig ner... lyssna på tystnaden... fyllas av frid? There are hundreds of thousands of American teenagers playing at this cool, fun hatred. The dark comic books that celebrate it make millionaires out of their authors, and ironic, animated television shows like the deliberately crudely drawn South Park (set in a mythical Colorado resort town not far from Littleton) are advertising goldmines. The "goth" shock–rocker Marilyn Manson—whose albums Harris and Klebold collected—receives gold–record awards for promoting the frisson of hateful mockery. While his roadies hawk T–shirts reading "Kill Your Parents," Manson slashes himself with bits of glass, wears iris–warping contact lenses, declares himself the Antichrist, and parades with naked women on dog leashes. His autobiography, The Long Hard Road Out of Hell, which reached number sixteen on the New York Times best–seller list last year, includes—in the midst of its long anti–Christian tirades—an account of a champagne brunch he threw to celebrate his girlfriend’s abortion and a laughing description of an infamous incident in which he’d buried, in several pounds of sliced luncheon meat snatched from a buffet table, a naked deaf girl who’d snuck backstage to service the band members. This is what the hip nihilism of the French philosophy professors looks like after twenty years of commercialization have sanded it down to something vulgar enough to fit in the minds of middling teenagers—and, unsurprisingly, there eventually came along a pair of boys sufficiently detached from reality that they were willing not just to pose at it for a couple years before they went off to college, but to act on it, once and for all. Illuminati - vad är det månne? Bilderberg konferens eller VM i fotboll? Vatten som bränsle med ny teknik! Så varför bråka om oljan? Jag blev i mail uppmanad att kommentera denna tråd. Detta område är sannerligen minerad mark. Å ena sidan tyder mycket på att man är alltför ivrig i att hellre skriva ut medicin än ge terapi, vilket är en viktig - mycket viktig - komponent i läkningsprocessen. Och å ena sidan är det dessutom ett för mig välkänt faktum att många människor skadas av psykofarmaka/medicin. Å andra sidan är det ett för mig samtidigt välkänt faktum att många människor faktiskt räddas till livet och till ett kvalitativt och glädjefullt liv av samma ('selective serotonin reuptake inhibitors' ) SSRI-verkande mediciner. Jag känner väl till båda sidorna och har för länge sedan - redan när detta diskuterats i andra svenska politiska forum - LÅTIT BLI att kommentera. Jag har beslutat mig får att HÅLLA MIG BORTA från den här debatten. Jag är inte heller beredd att redogöra för varför jag känner till så mycket om ämnet eller överhuvudtaget en enda bokstav mer i ämnet. Det kan ju tänkas att läkare har olika uppfattning och att det är svårt för en lekman ha en egen uppfattning. Tydligen är det här ett intressant ämne men tydligen för hett av någon konstig anledning. Ska vi som i Aldous Huxleys Du sköna nya värld droga oss med soma-tabletter? Det går tydligen inte att kommentera, diskutera... slutsatsen man kan dra att vissa av oss redan verkar vara i Huxleys nya sköna värld! En intervju som ger en skrämmande inblick i amerikanskt samhällsliv. Där ungdomar tvingas av myndigheterna ta medicin. Där ungdomar precis som i Sverige styrs av våldskultur och dödskultur. Lägger man till detta att Aldus Huxley och kompani har sen 1930-talet experimenterat med den amerikanska befolkning och västvärldens befolkningar - pådyvlat oss diverse kulter i avsikt att bryta ner oss - använt sig av dunka-dunka musik och LSD så kan man behöva reagera nu när president Bush har tagit fram ett program för att bedöma alla amerikanska skolungdomars mentala hälsa. Ett program kallat Teen-Screen som är framtaget av representanter för läkemedelsindustrin - Lily - som vill tjäna pengar på preparat som fungerar som LSD - men nu kallas för medicin. Där drogandet sprider sig över världen - till oss i Sverige - där ungdomar i Sverige ges olika bokstavsbeteckningar för att sen drogas ner under täckmantel av att de ska botas av läkarkåren. Människor inte bara dövas med hjälp av religioner och medial konsumism. Människor oskadliggörs nu också av en av läkemedelsbolagen hjärntvättad - mutad - läkarkår. Så visst måste det gå att kommentera på något sätt. Följden av neddrogandet blir att det ingen kommenterar bloggar som försöker ifrågasätta. Människor lallar med i de officiella förklaringarna till t.ex. 9/11. De försöker inte ta reda på själva. Och människor slutar att fråga sig: Vem är jag? Människor accepterar den "kultur" de fötts in i - en kultur styrd av penningen och inte av några högre värden. Det slutar i att somliga börjar dilla om UFO:s och Aliens som orsaker till världsläget istället för att ange mer verklighetsnära orsaker som Wolfowitz plan Rebuilding America´s Defenses, Israel, Bilderbergare eller Aldous Huxleys hjärntvätt av USA:s befolkning med start på 1930-talet... nu hunnit så långt att alla amerikanska ungdomars mentala hälsa ska utvärderas i en Teen-Screen. Som väl flertalet läsare har förstått, är det utomjordsteknologi vi talar. Den gör det möjligt att färdas genom tid och rum. Och den har använts så av besökare från andra världar. Dr. Greer är mycket noga med att i sin senaste bok understryka att de riktigt svarta cellerna av den hemliga regeringen, de som håller på hemligheterna, de som arbetar på att Harmageddon "äntligen" ska komma till stånd av ideologiska och eskatologiska skäl - så att de ska bli upptagna till sin föreställning av Gud och vi andra förgås - att dessa grupper sedan ett halvt sekel har haft egna "UFO:n" och att de har genomfört "abductions" och "cattle mutilations" för att skrämma människor att bli rädda för utomjordingar. Och nu till det riktigt farliga: De har inget emot om alla "tror på UFO:n", för de har en plan som de kan komma att sätta i verket som går ut på att FEJKA "Världarnas Krig". De tänker sig att fejka att utomjordingarna anfaller, med egna UFO:s, med biologiska entiteter skapade i provrör som ska föreställa utomjordingar, ja, hela köret. Som "X-Files" x 10... Vad var det "cancermannen" sa till agent Fox Mulder? Jo, "You can't handle the truth." Är det så för oss också, kan vi inte hantera sanningen? Vilka är dessa svarta celler? Vad finns det för handfasta bevis för det som påstås här? 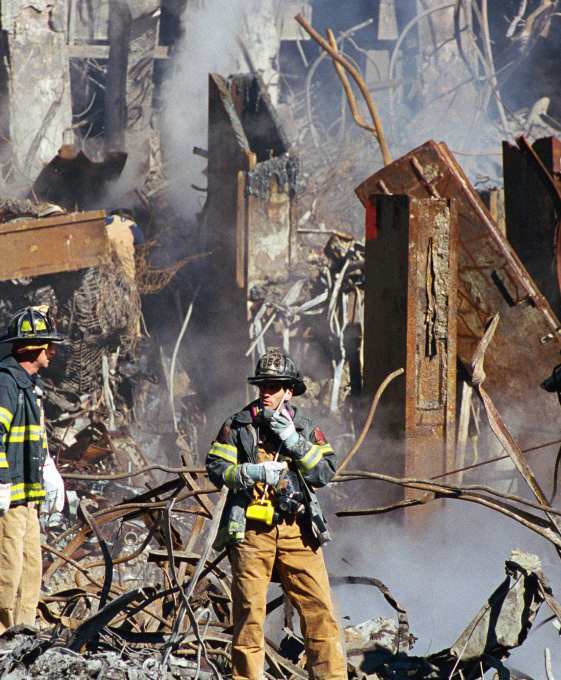 Om det inte finns några bevis så smutskastar sånt här de som vill arbeta för freden - sprida kunskapen om vad som verkligen hände 9/11. Har man inga bevis för det man framför om UFO:s och Aliens så visar det att man inte är intresserad av fred - istället vilseför man - går deras ärende som vill krig. Eller så har man hamnat i någon slags verklighetsbubbla - hjärnspöke och behöver få hjälp. In 1987, psychotropic drug expenditure was $1 billion. By 2002, it was $23 billion--23 times the amount spent 15 years earlier. men jag får time-out... Finns statistiken? Ny broschyr om depression för patienter och deras närstående. En person av fem drabbas någon gång i livet av depression. Det finns goda möjligheter till behandling. SBU har tagit fram en enkel broschyr om depressionsbehandling. Skriften riktar sig till patienter och deras närstående, och svarar på vanliga frågor om olika behandlingsmetoder. Innehållet bygger på den vetenskapliga SBU-rapporten Behandling av depressionssjukdomar - en systematisk litteraturöversikt (2004). Texten har skrivits av journalisten Katti Björklund och redaktör är Ragnar Levi. Skriften ges ut i samarbete med Apoteket AB och broschyren kan också hämtas gratis bland annat på landets apotek. Tyvärr så har det här statliga organet inte orkat lägga ut rapporten som en .pdf - utan man är tvungen att beställa den för 0 kr plus moms! och frakt... istället för att lätt ladda hem den så ska man få den i brevlådan med tillägg av fraktavgift... SBU:s personal verkar gå på tabletter - någon hjärndödande variant! Och hur kan ett statligt organ skriva en rapport tillsammans med Apoteken AB? Har de ingen skam i kroppen? Skriver de om alkolism så gör de det tillsammans med Systembolaget? Sverige ett korporativt samhälle går lätt att konstatera! RFHL har tidigare fått lägga ut material om läkemedelsberoende på apoteken runt om i stan. Men nu är det tvärstopp. Det borde vara Apotekets plikt att sprida information om var man kan söka hjälp vid läkemedelsberoende, skriver Karin Sörensen. Apoteksbolaget AB har monopol på att sälja läkemedel i Sverige. Monopolet står under hård press från EU och det privata näringslivet, som vill börja sälja enklare former av läkemedel som ett sätt att dryga ut sin kassa på. Till försvar för Apoteket brukar hävdas att tillgången begränsas och att kunnig personal kan informera om riskerna med olika läkemedel. Detta försvar blir dock ihåligt när Apoteket inte vill sprida information om riskerna med att bli beroende av vissa sorters mediciner. På Apotekets hemsida kan man läsa om nikotinberoende och om alkoholberoende. I mycket pedagogiska bildspel får vi lära oss om vad som händer när vi tar oss ett bloss på en cigarett och hur beroendet utvecklas. Läkemedelsberoende tar man inte upp alls trots att man tycker att det borde ligga nära till hands. Apoteket som inte säljer alkohol informerar om alkoholberoende. Apoteket som inte säljer snus och cigaretter informerar om nikotinberoende. Apoteket som säljer läkemedel informerar inte om läkemedelsberoende! Vi svenskar konsumerar dagligen hundratusentals dygnsdoser av beroendeskapande läkemedel. På en rad olika platser runt om i landet finns särskilda kliniker för att bota och lindra de besvär läkemedelsberoende patienter drabbas av. Förskrivningen av beroendeskapande läkemedel till ungdom har ökat med 300 procent under en tioårsperiod. Får denna hantering fortsätta i nuvarande ökningstakt kommer ett stort antal människor inom en snar framtid att ha drabbats av ett invalidiserande läkemedelsberoende. Det saknas idag tillförlitliga uppgifter om hur många personer som är läkemedelsberoende. Enligt en statlig utredning 1996 (Olika på lika villkor. Om mäns och kvinnors bemötande i sjukvården, SOU 1996:133) använder mellan nio och femton procent av den vuxna svenska befolkningen sömn- eller lugnande medel. Det kan alltså röra sig om närmare 1 miljon svenskar som bedöms vara i behov av sömn - och lugnande medel. Merparten av dessa bedömningar görs av allmänpraktiserande läkare. Två tredjedelar av dem som får dessa medel är kvinnor och mera än hälften är över sextio år. RFHLs bedömning är att ca 200.000 personer i Sverige är beroende av lugnande och sömngivande medel på ett sådant sätt att de behöver någon form av hjälp för att sluta med tabletterna. Problemen med psykofarmakaberoende kan alltså inte reduceras till ett problem för några hundratal missbrukare. Det är ett folkhälsoproblem som skär igenom hela samhället. Under senare tid har en mycket kraftig ökning skett vad beträffar förskrivning av antidepressiva medel. Detta beror på att en ny generation preparat, SSRI -preparaten (selektiva seretoninåterupptagningshämmare) lanserats hårt. Ett av dessa - Cipramil - blev det mesta sålda läkemedlet i landet under första halvåret 1996. 1. Hur många människor är läkemedelsberoende i Sverige? Det går inte att säga exakt hur många människor som är läkemedelsberoende. Det finns stora mörkertal inblandade eftersom många människor skäms över att vara beroende. Säkert är att över en miljon människor regelbundet tar någon medicin. Säkert är också att det förra året skrevs ut ca 6 miljoner recept på sömn- och lugnande medel. Hur många som är beroende är alltså svårt att ge exakta siffror på. Om man vill försöka bygga en rättvis fred så gäller det att människor bryr sig - att de inte låter droga ner sig - slutar att söka svar - nöjer sig med de svar de får från maktens media. Utvecklingen i USA verkar inte bra! Ska vi få samma utveckling i Sverige? Alla skolungdomars mentala hälsa i USA ska nu kartläggas för att de sen ska "medicineras" - göras beroende av LSD-preparat - kallade läkemedel - tvingas av myndigheterna ta de föreskrivna doserna. Då har vi hamnat i Big Brother samhället! Det Big Brother samhälle USA nu är på väg in i - Aldous Huxleys Du sköna nya värld där människor är drogade av "lyckopillret" kallat Soma. Att Aldous Huxley satt igång och experimenterade med USA:s befolkning redan på 1930-talet verkar inte vara känt! Och känner man inte historien - och hur fienden beter sig - så är det svårt att slå tillbaka - försvara sig. Om man inte förstår att LSD nu gjorts till ett "läkemedel" kallat Prozac eller något annat - så har man inte förstått vad Aldous Huxlex beskrev i sin bok Brave New World - Du sköna nya värld - där människor hölls under kontroll av "lyckopillret" kallat Soma. Du sköna nya värld (engelsk originaltitel Brave New World), är en berömd framtidsroman skriven 1932 av Aldous Huxley. Boken utspelar sig i en avlägsen framtid, där tideräkning numera baseras på Henry Ford. Barnen skapas på mer eller mindre industriell väg och anpassas under fosterstadiet på kemisk väg till sin plats i kastsamhället. Alfa och Beta har till uppgift att sköta de höga och mellanhöga positionerna i samhället, medan Gamma, Delta och Epsilon ska vara arbetare utan förmåga att tänka själva. Denna uppdelning förstärks genom den indoktrinering och propaganda som genomsyrar hela samhället. För att hålla människorna på plats tilldelas de dagligen en ranson av den ultimata drogen Soma.